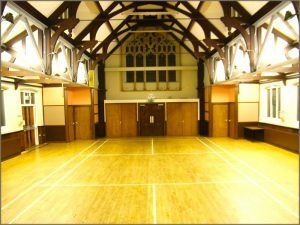 Palmers Green United Reformed Church has several halls available for hire. 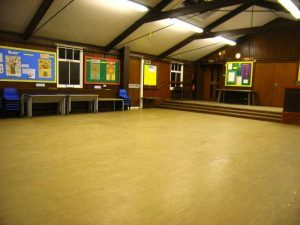 This can be either for one-off events or on a regular basis. 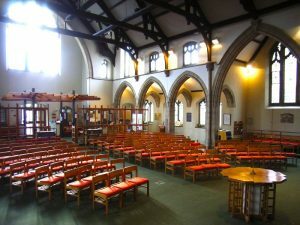 The Main Hall is the largest hall available for hire. It is approximately 16m by 10.5m. It has its own toilets as well as a coffee preparation area with a sink. 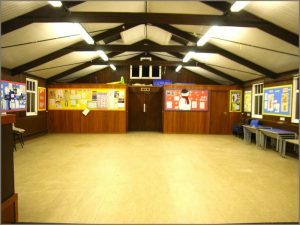 The hall has its own entrance separate from the other halls. Access to this hall is suitable for wheelchair users. 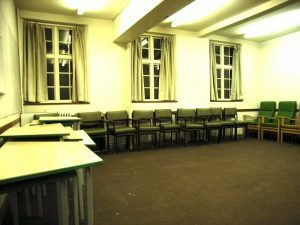 Tables and chairs are also available subject to the requirements of the other halls. 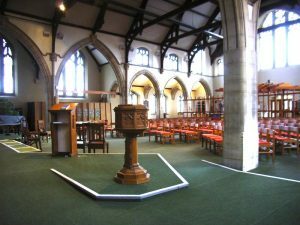 A separate kitchen with a large oven, fridge, freezer, microwave oven, hot water urn and dishwasher is also available for hire. 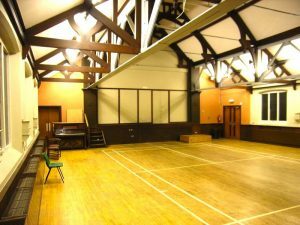 The Burford Hall is approximately 11m by 8m with a 2.5m deep raised platform. 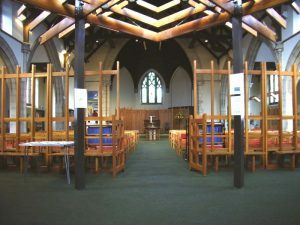 The hall has its own entrance separate from the other halls. Access to this hall is suitable for wheelchair users. 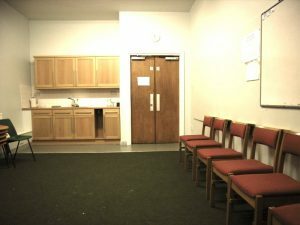 Tables and chairs are also available subject to the requirements of the other halls. An adjoining kitchen with a large oven, fridge, freezer, microwave oven, hot water urn and dishwasher is also available for hire. 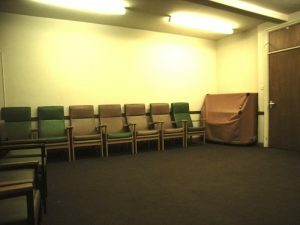 The Margaret Russell Room is approximately 6.6m by 5.5m. The room has versatile stacking tables and padded chairs with arms suitable for elderly users. Access to this hall is suitable for wheelchair users. A seperate kitchen with a large oven, fridge, freezer, microwave oven, hot water urn and dishwasher is also available for hire. 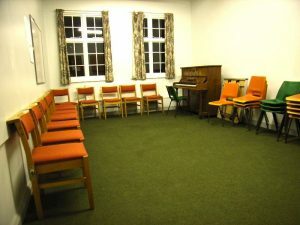 The Beatrice Newton Room is a 1st floor hall available for hire. It is approximately 6.5m by 3.8m. It has an adjoining toilet as well as a coffee preparation area with a sink. A seperate kitchen with a large oven, fridge, freezer, microwave oven, hot water urn and dishwasher is also available for hire.